Showing 1 - 15 of 101 articles tagged "Empire"
“Your letter is both factually and legally flawed, and Mr. 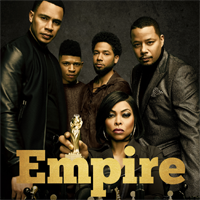 The city of Chicago is planning to file a civil lawsuit against the Empire star, demanding that he pay $130,106. 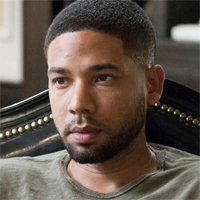 Henson said on The View this morning she speaks to Smollett "all the time" and the actor is "doing well. “I suffer from depression,” the Empire star tells Variety. Chicago Mayor-elect Lori Lightfoot: Jussie Smollett has "got to be held accountable"
Lightfoot, who was elected last night to succeed Mayor Rahm Emanuel, is also not buying the Empire star's self-proclaimed innocence. President Trump calls Jussie Smollett "the actor that nobody ever heard of"
Trump mentioned the Empire star while speaking last night at the National Republican Congressional Committee. The prosecutor who dropped the 16 felony charges against Smollett doesn't believe the actor is innocent. 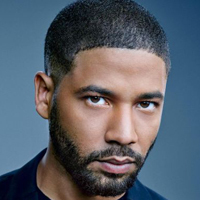 Chicago Police and Mayor Rahm Emanuel blast decision to drop Jussie Smollett charges: "This is a whitewash of justice"
Lee Daniels: Jussie Smollett case has caused the Empire team "pain and anger and sadness"